I don’t know a soul who will pass up a slice of yummy ice cream pie. I have a friend who requests it for her birthday in August every year, but it was also the first dessert that disappeared at a dinner potluck I attended last year—in the dead of winter. They are just that good! The only thing about ice cream pie that isn’t so stellar is the fat and calorie counts in the pies you pick up at the grocery store or your local ice cream shop. 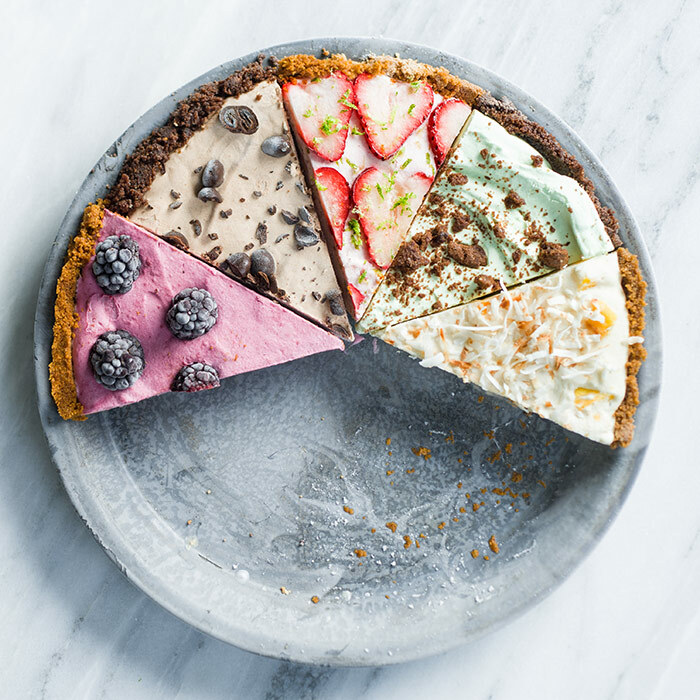 But lucky for us, it’s super-easy to make a homemade ice cream pie—and when you make the EatingWell version, you’ll save about 150 calories and half the saturated fat per serving. 1. 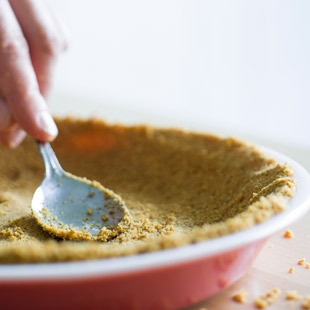 Press in the crust: Our easy press-in crust is made simply with crushed graham crackers, gingersnaps or chocolate cookies tossed with heart-healthy canola oil. Swapping the oil for butter lowers the saturated fat. 2. 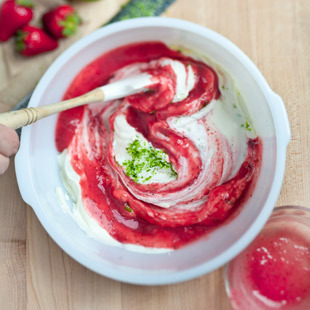 Flavor it: We stir pureed strawberries with a bit of rum and lime juice into a mixture of cream, sugar and yogurt. The entire pie is sweetened with just 1/3 cup of sugar, which makes it plenty sweet without being cloying. Swapping some of the cream for yogurt cuts the fat and adds a pleasant tang to the pie. 3. 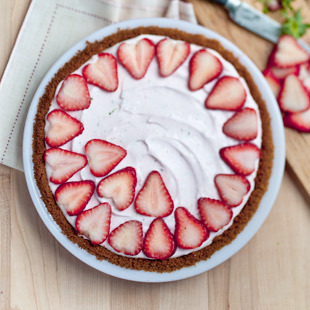 Decorate the top: Sliced strawberries add tons more flavor and increase the vitamin C to boot. 4. Freeze it: Pop the pie in the freezer for about 5 hours to firm it up. You’ll want to let it stand at room temperature for about 15 minutes before you cut it. 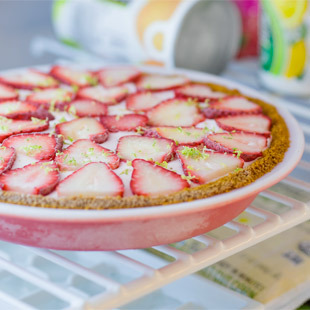 You can wrap the frozen pie and keep it in your freezer for up to 5 days. Try the other flavor combinations too!